Car Transport Depot ships nationwide. In order to be able to help customers all over the country, we have extended hours of work in our office. 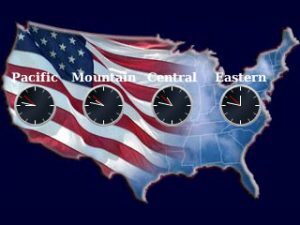 Our clients live in different time zones. But we won’t let that to be a problem, so we work 12 hours a day on weekdays. We are also there for you for eight hours on Saturdays. So wherever you are, it will be easy for you to give us a call and discuss your car transport. When you call us, you won’t be listening to automated customer service. Our live agents always look forward to helping you! You can call them anytime during our extended hours and they will answer all of your questions. You won’t feel hurried when you talk to CTD. Our agents will listen to you carefully and will make sure you know everything you need. They can handle many tasks at the same time and talk on multiple phone lines. CTD has a wide range of Vehicle Transport services we provide. Our agents will help you to choose the right options for you. Wherever you are, you can call us in our extended hours of work when it’s convenient for you. It’s really easy to ship your vehicle to us. Just give us a call and let us take care of your Auto Shipping! We care a lot about our customers and try to make everything convenient for you. Right from the moment you call us, we will make sure you get the best service. Wherever you are and wherever you’re going, let CTD take care of your vehicle! Car Transport Depot is looking forward to shipping for you!